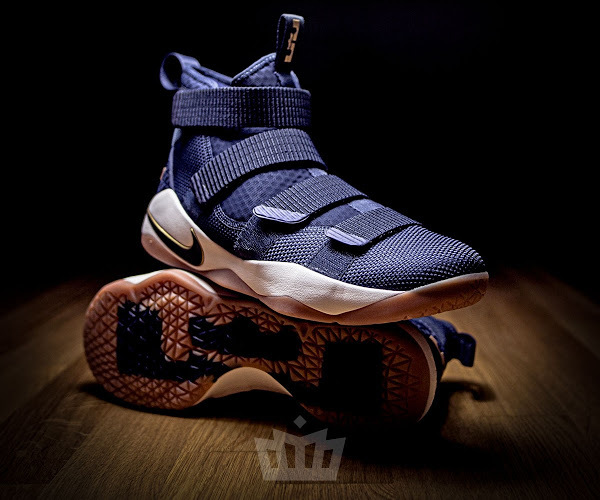 On April 16th, LeBron James debuted the Nike LeBron Soldier 11 in a very eye-catching Cleveland Cavaliers colorway. 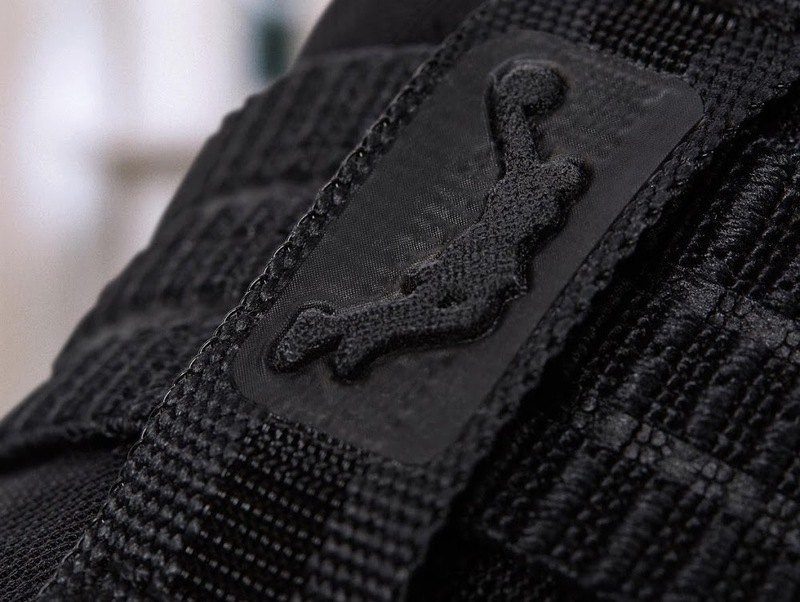 If you looked closely you probably noticed a couple of hidden signature details including the original Dunkman logo on one of the straps. 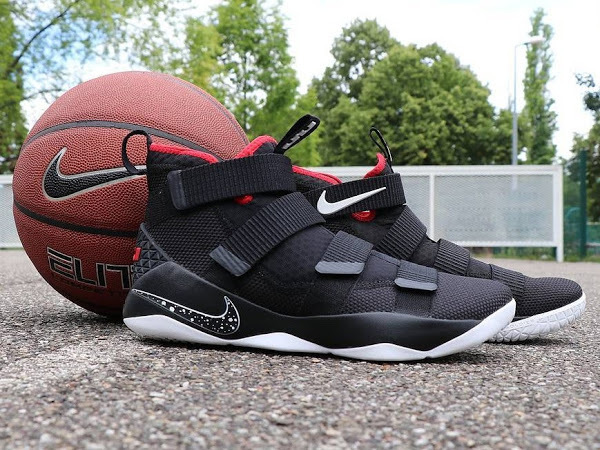 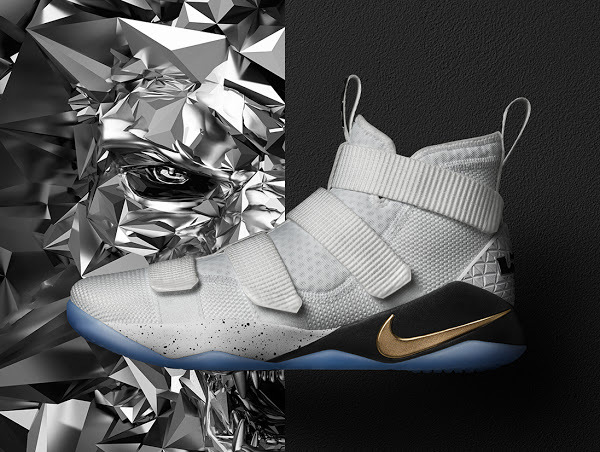 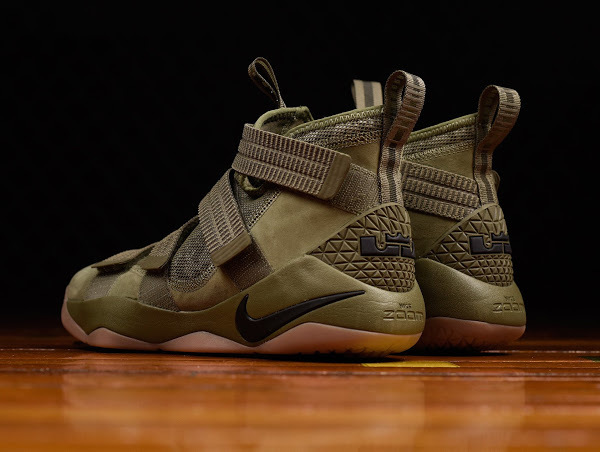 Next week, just in time for the 2017 NBA Finals, Nike will launch the eleventh installment of the Nike Soldier series. 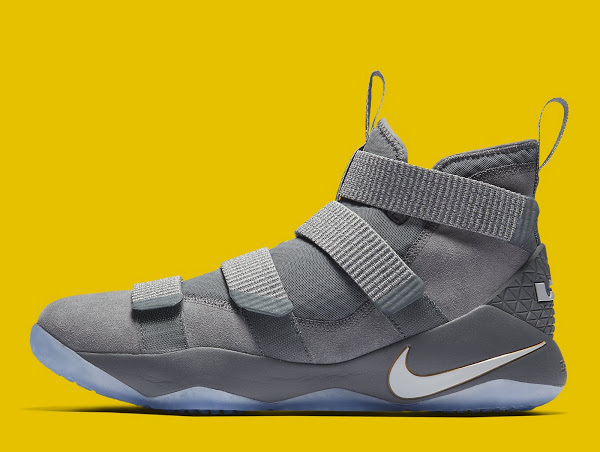 If The King believes in lucky charms he should replace the LeBron 14 in favor of the Soldier 11 after his amazing run in the Soldier 10 last year. 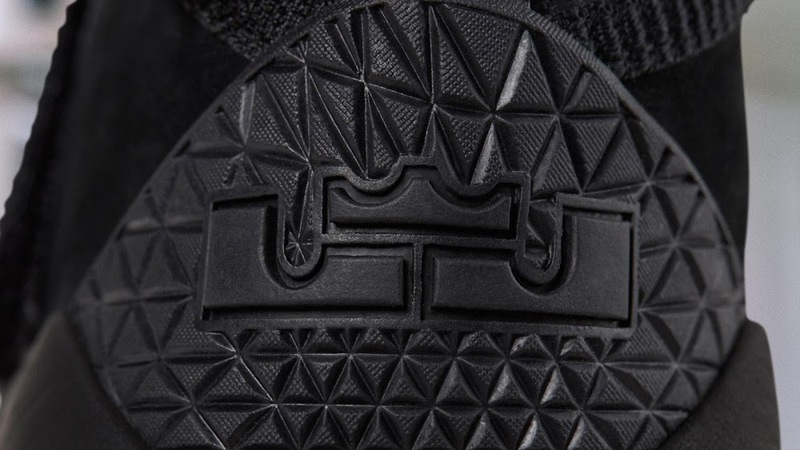 The black “Prototype” colorway is scheduled to be released globally on May 31st. 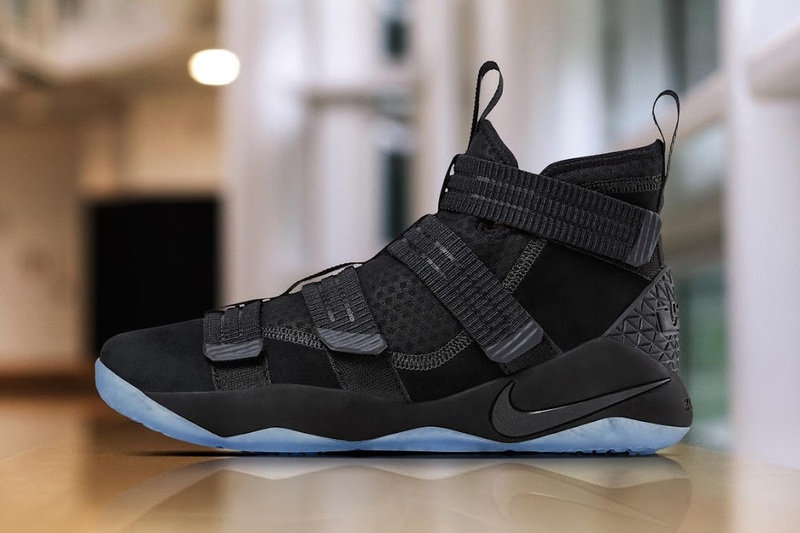 The Nike Zoom LeBron Soldier 11 features a breathable mesh and foam upper and a four-strap closure. 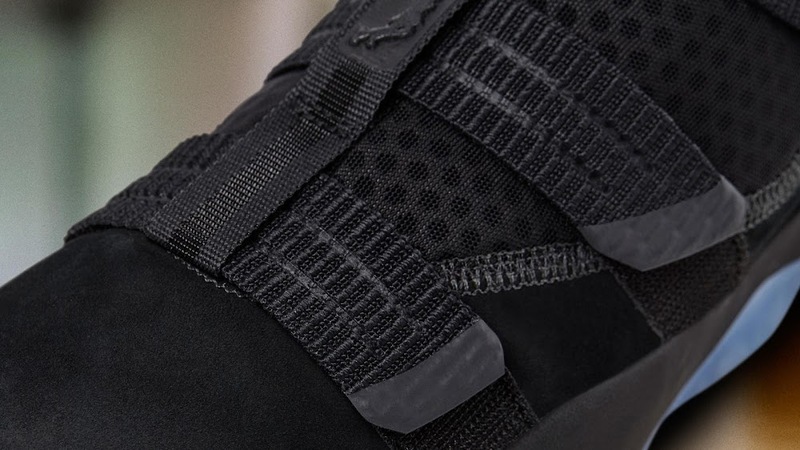 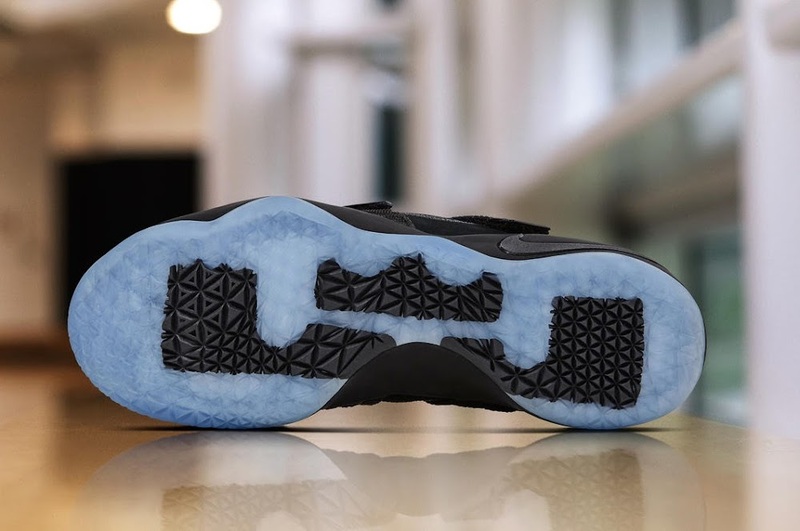 Zoom Air units are positioned in the heel and forefoot to maximize responsiveness.